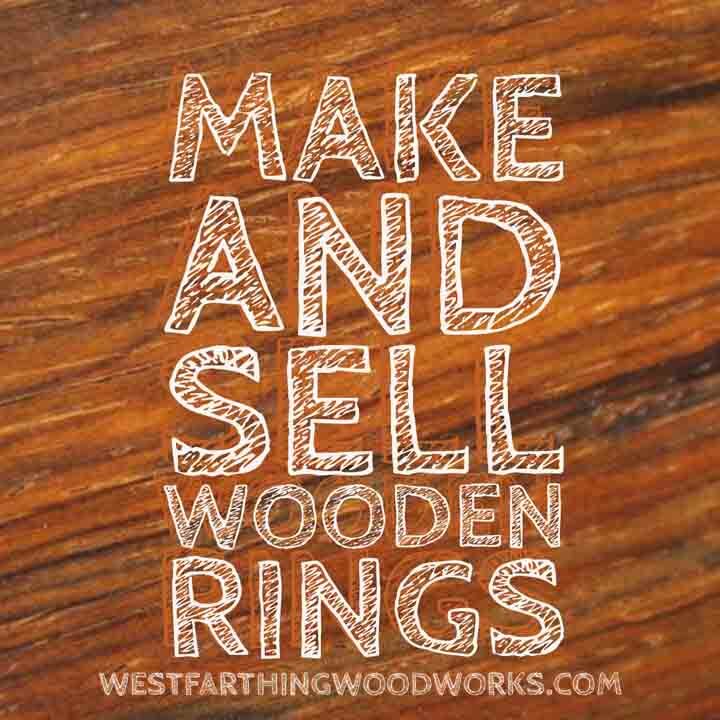 It’s fun to make and sell wooden rings, and you can get started for a very low cost. 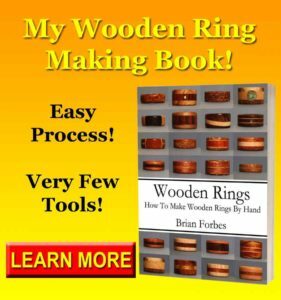 It’s even easier than it looks to make a wooden ring, and if you are looking for a project to make and sell, this might be the one for you. Here is how you can get started. 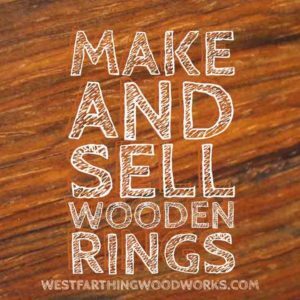 The first thing you need to do in order to start making selling wooden rings is to learn how to make them. 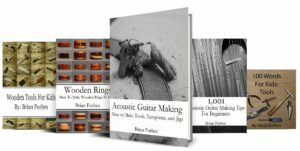 My book shows the entire process for a beginner, and uses the smallest tool set possible as well. Being brand new, expect to spend some quality time in the shop learning your skills before you can start successfully selling your wares. 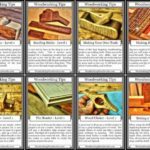 It is possible in the beginning to sell what you make for a reduced price due to you being new to the craft, but don’t plan on it until you see what kind of work you are capable of at first. If you already know how to make wooden rings, then you are slightly ahead. Knowing how to make them gives you a bit of an advantage, and from there you just need to find customers. Depending on how much exposure you already have, there are options. Etsy is one of the biggest online marketplaces for handmade items. If you are looking for something unique, then head over to Etsy to find it. 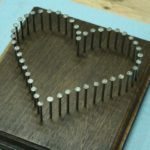 The woodworking and crafting world love Etsy, and many people sell their unique creations online right from their homes. Make sure to look into the details when you set up your store. There are going to be fees and such that you need to know about. Etsy is a well known site, and since they are bringing you the customers, they are going to take a cut of the deal each time. However, having a storefront in a place that is easily recognized, trusted, and highly shopped by potential customers is a huge win. If you have something that is really unique, beautiful, or interesting, you may just catch enough eyes to start making money right away. In the world of today, everyone is slightly famous. Depending on how many friends, followers, or connections you have, you may already have an audience to work with. If you don’t want to advertise directly to your friends, you still have another option. Use your friends to help you grow. It may be that you don’t want to hassle your friends to buy from you, but you might be surprised. First of all, some of them may want what you are selling, and not telling them you are in the business is actually a disservice. If you ask your friends for help, this is where you can really expand your reach. Instead of marketing towards them, create a post or a graphic for your business and ask them to share it to their friends. You share the image to your entire list, and they do the same. Before you know it, you have quite a bit of visibility. 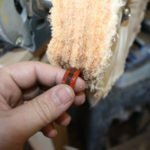 It’s important to stand out for at least one good reason when you are making and selling wooden rings. This is true for any type of sales. There has to be a reason to buy your rings over another person who makes and sells them as well. There are a couple things to think about, but the easiest is to be unique. With wooden ring making, the look of the wood and the design sells the ring. 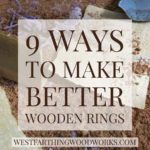 There are lots of wood species to choose from, and my 9 Ways to Make a Better Wooden Ring can help you use those materials in more unique and interesting ways. When you have a unique and interesting ring to sell, you accomplish a couple things. The first is you reduce the competition in the market for your product. If you are the only person selling red dishes, customers who want them have to come to you. This is the same for your rings. If you are making a beautiful and unique ring, a customer wanting that ring has to get it from you. Over time designs can be copied by anyone, but you can continue to learn and produce great looking rings that keep your fans happy and your competition guessing. There are a couple schools of thought on pricing handmade items. There is the low price method, and the quality price method. Both have benefits, but you can do yourself a favor by landing in the middle or the higher end. You are not a ring making machine, and until you invent a ring making machine, it is going to be hard or you to keep up with China and India. This is where the majority of inexpensive items come from, and it’s a tough market to beat. Instead, shoot for a middle of the road price based on quality and design, or even go for a higher end price if you can truly produce something that can’t be bought elsewhere. 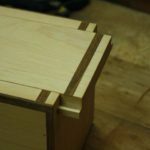 My guide to Pricing Handmade Items goes into more detail.